These Welding Gloves have a Cowhide glove material, which is the most common type of glove leather because it provides durability, abrasion resistance, and insulation from heat while losing flexibility when it dries after getting wet. 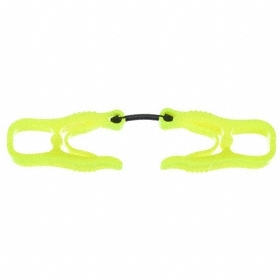 They're size L and have a 0.7 mm glove material thickness. They have a 12 in glove length. They have a gauntlet cuff style, which extends about 4" beyond the wrist for added coverage with a loose fit that makes it easier to pull on and off and leaves room for ventilation or for tucking in sleeves. They are white in color and a left/right pair. Includes 1 pair. Made from abrasion-resistant leather, welding gloves protect hands from injuries caused by heat, sparks, or spatter created during the welding process. 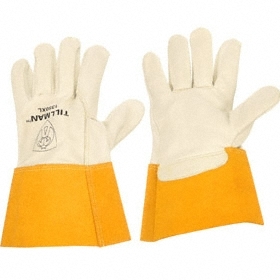 These leather gloves protect your hands from heat, sparks, and the high amounts of spatter created during MIG welding. 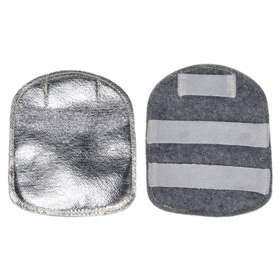 They provide more protection than TIG welding gloves and offer more dexterity and touch sensitivity for operating the welding torch than stick welding gloves.